Bonutron Start is formulated to ensure that your newborn foal gets the best nutritional start in life. Newborn foals can be fragile & Bonutron helps to support their development and digestive system, as well as promoting overall health. 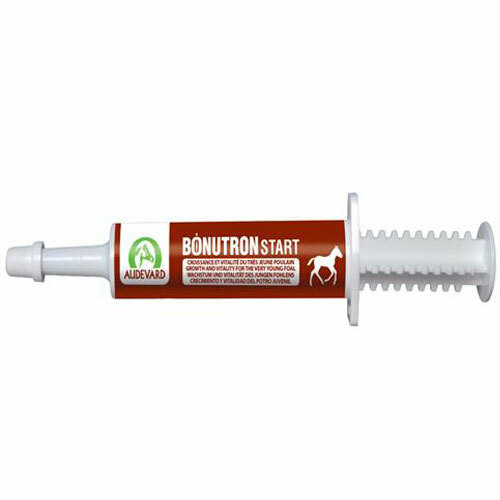 Bonutron is simple to give to your foal, as it comes in an easy to administer syringe. Give 3 syringes in the first week of their life- Day 1; Day 3 & Day 7. For foals who are reluctant, it can be put on the mare’s teats, as it is a gel. If required, give 1 syringe per week, during their first 2 months.